The farm Antica Fattoria di Caserotta has very remote origins; the cultivated lands belonged to an ancient tuscan noble family, the Ganucci Cancellieri family. The farm is composed by 70 hectares of vineyards, olive groves and woods and it is cultivated following the organic agriculture’s rules. The organic farming aims to preserve our territory, biodiversity and natural ecosystems by prohibiting the use of synthetic chemicals. 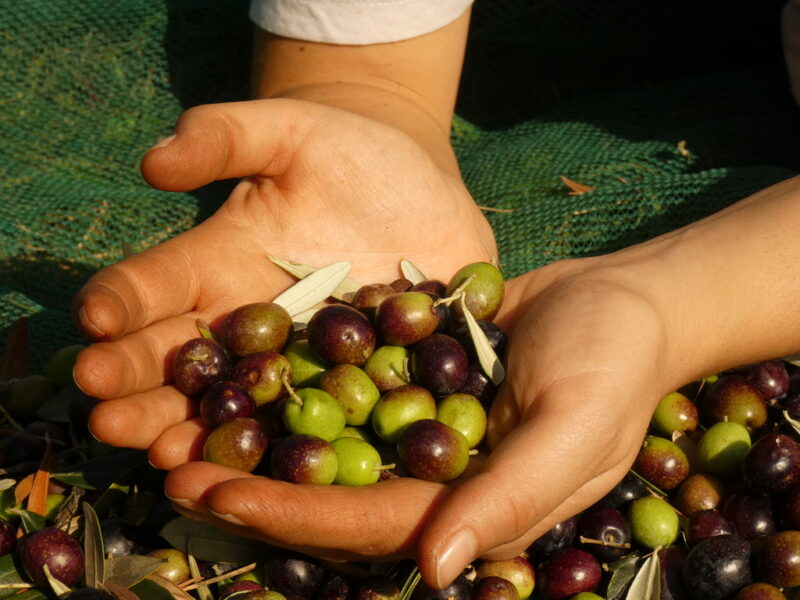 The keyword of our production is Quality and for this reason our extra virgin olive oil is registered in the Chianti Classico PDO: the meaning of this trademark depends on the area where the olive trees stand. 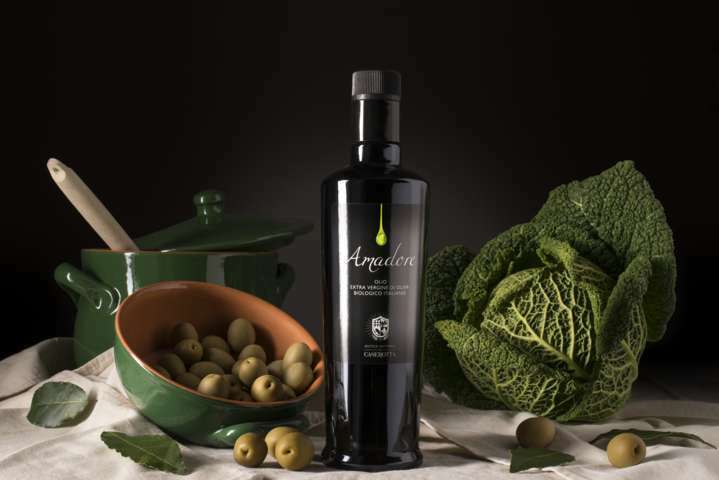 The oil is made by the most widespread varieties of olives of Chianti region and it is famous for the intense and fruity aroma with hints of herbs. The taste is very strong and slightly spicy. 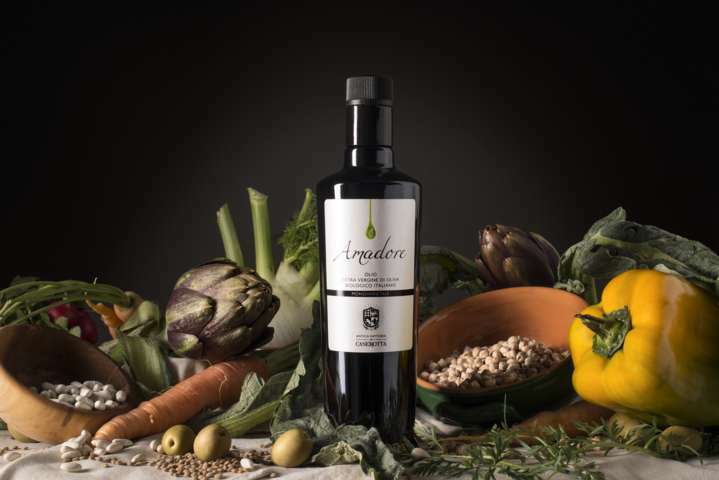 The oil, called “Amadore” in honor of a founder of the Cancellieri’s Family dedicated to the development of the farm as early as 1100, has three versions: a blend of more typical Chianti varieties, a Chianti Classico PDO and a particular Oil made with only one variety, the Leccio del Corno, a cultivar selected in our area with an intense, spicy and bitter flavor. 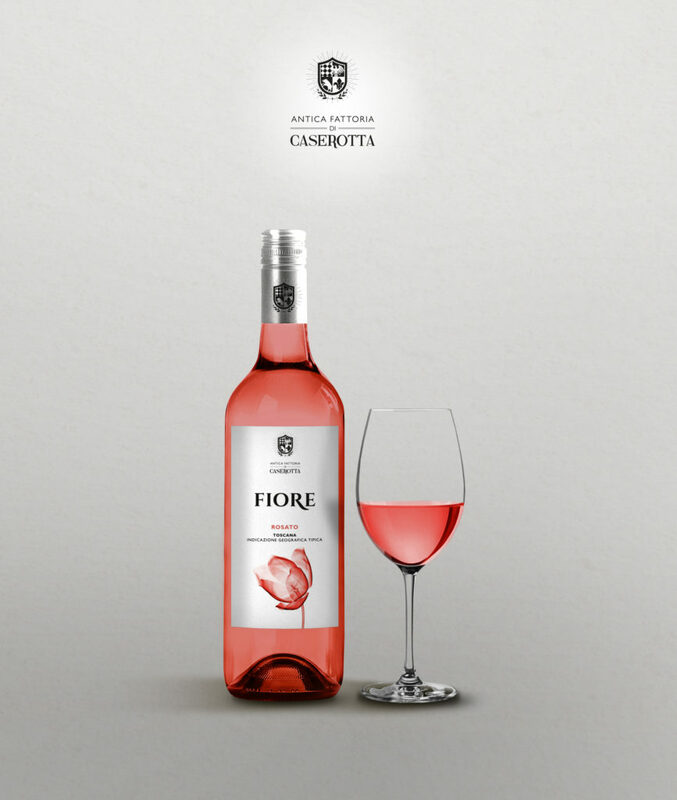 Our Chianti Classico grapes produce a high quality red and rosé wine. The management of the farm is carried out by Caterina, a very young entrepreneur, who after the graduation in Agriculture decided to follow the dream of making that farm a jewel of Chianti. 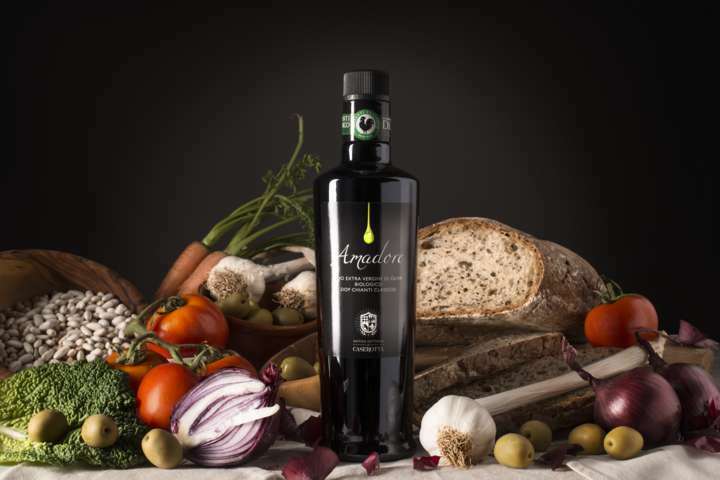 Photographs of “Amadore” olive oil by Niccolò Fioriti.